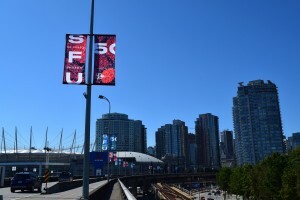 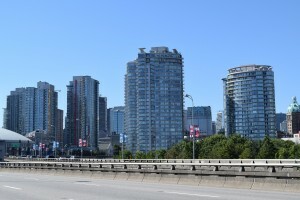 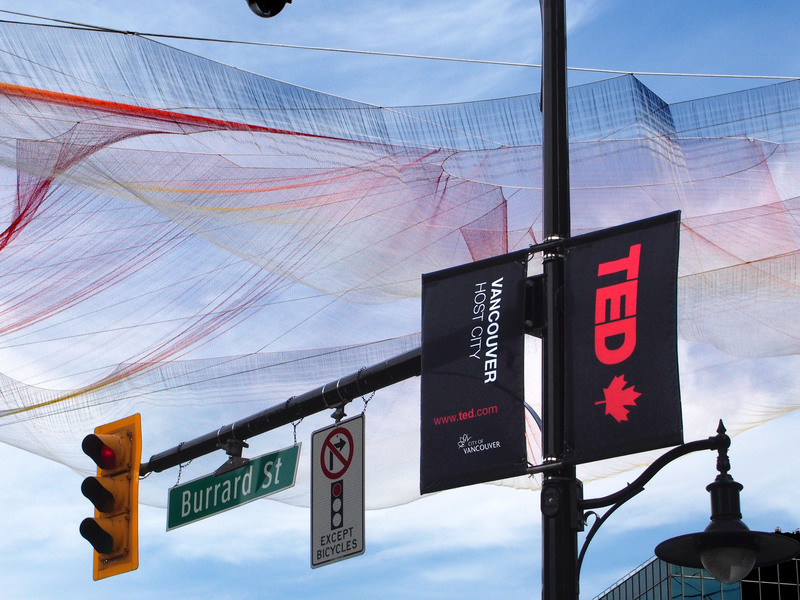 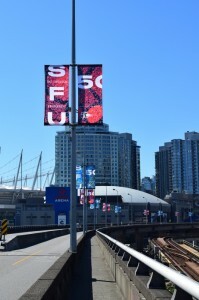 If you’ve driven over the Granville Bridge lately, you’ve no doubt noticed the dramatic black banners announcing the arrival of the 30th TED Conference to its new home at the Vancouver Convention Centre which has its own set of matching banners. 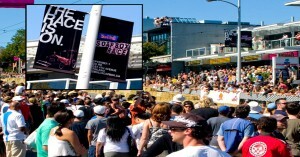 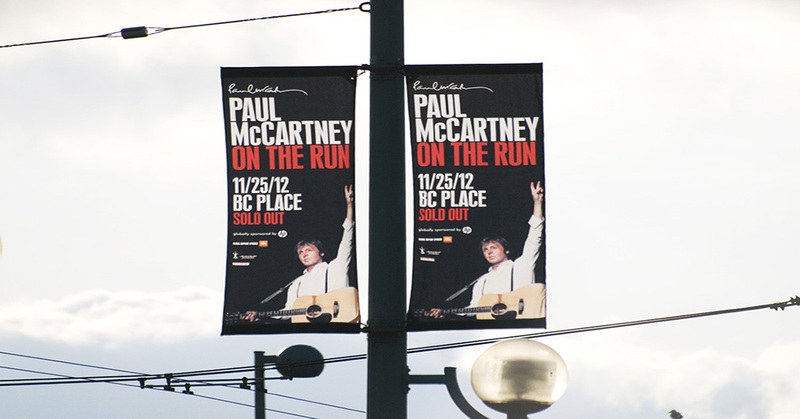 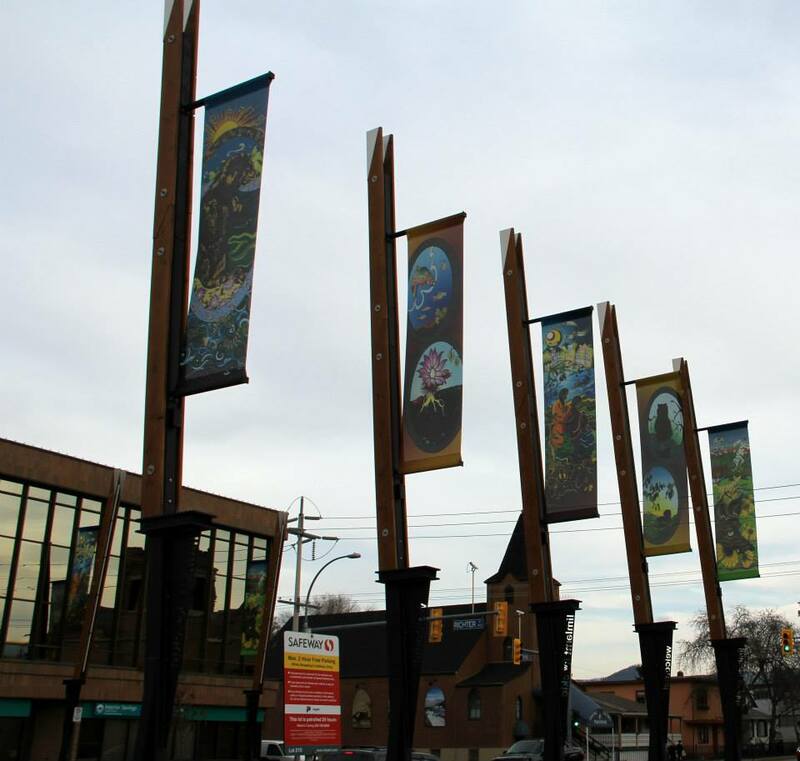 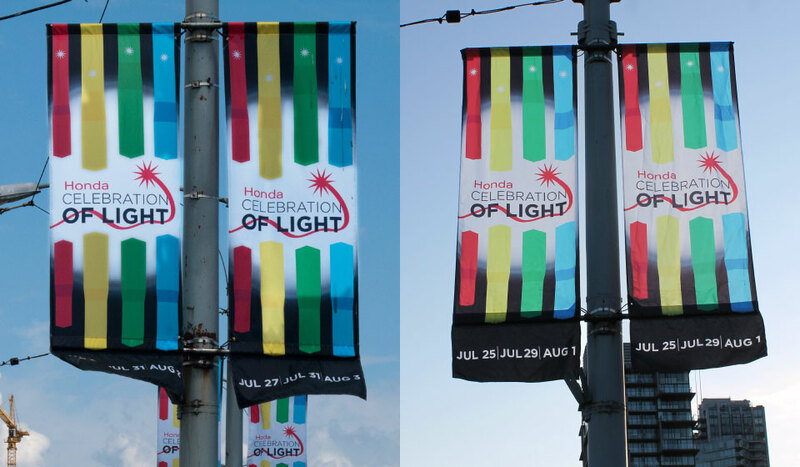 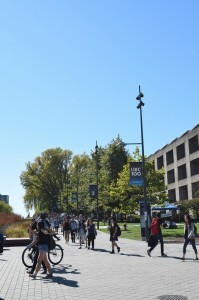 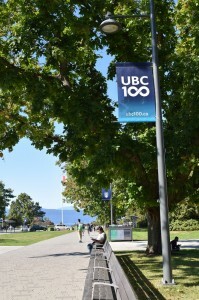 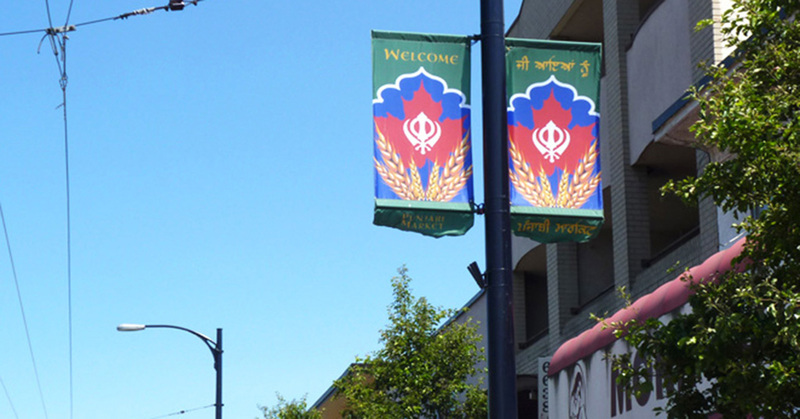 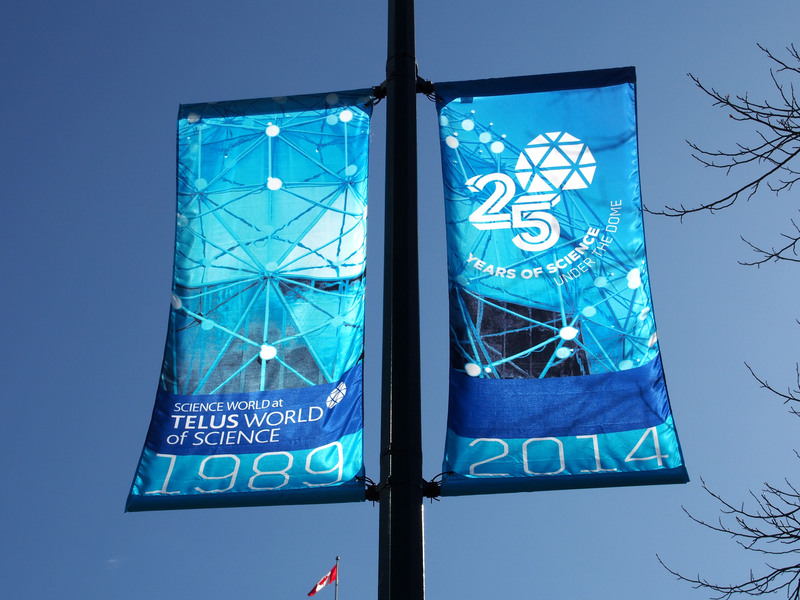 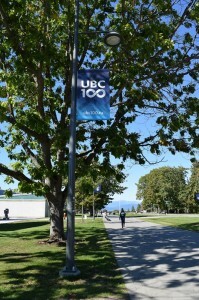 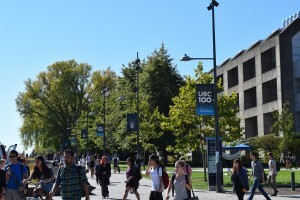 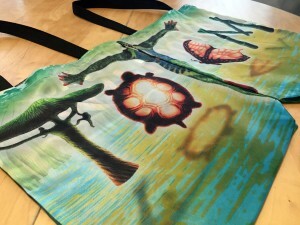 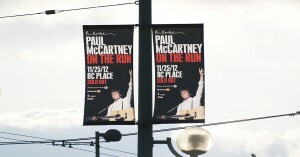 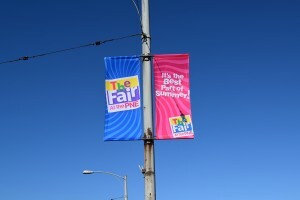 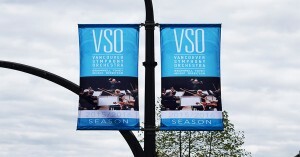 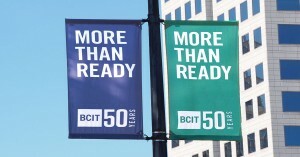 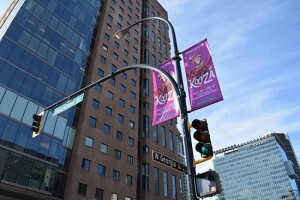 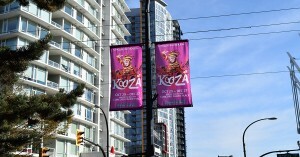 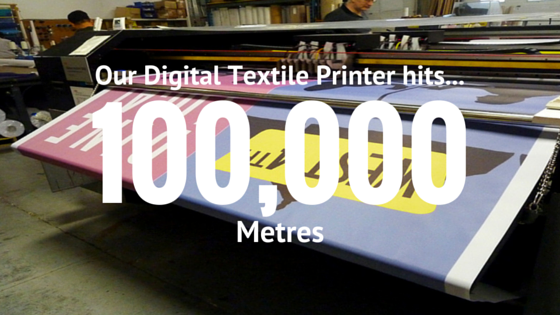 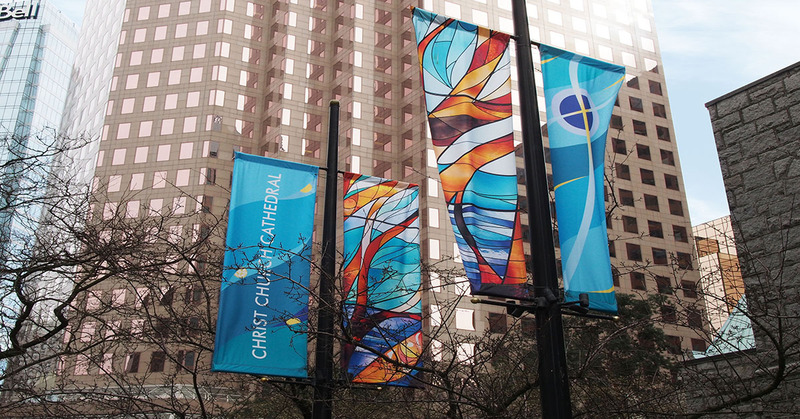 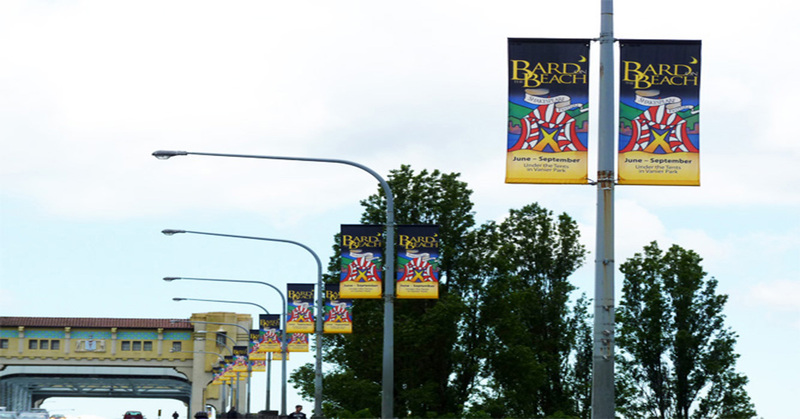 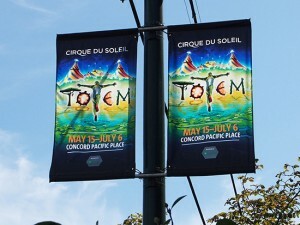 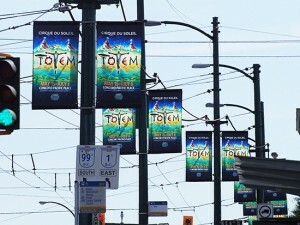 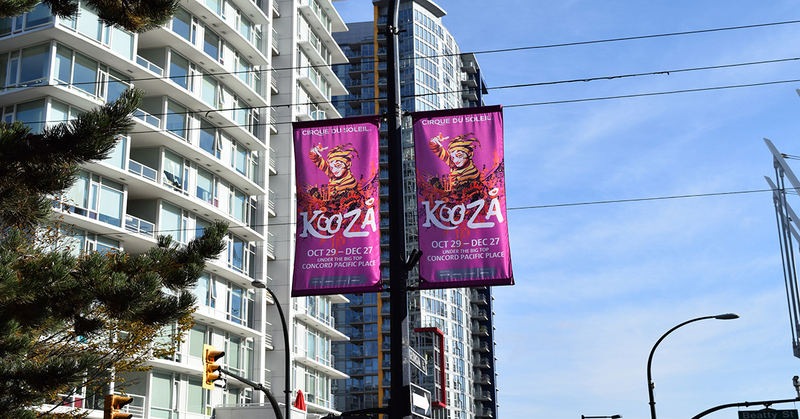 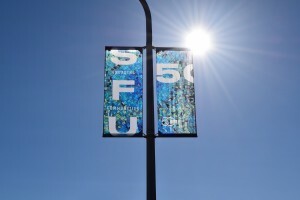 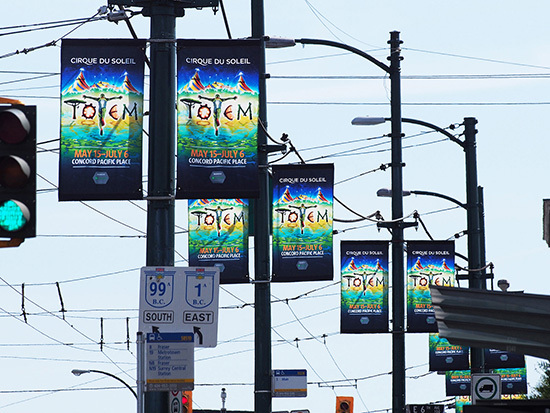 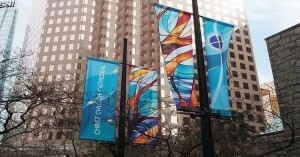 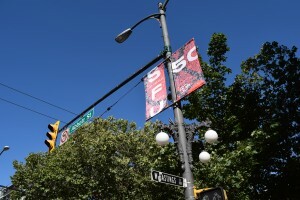 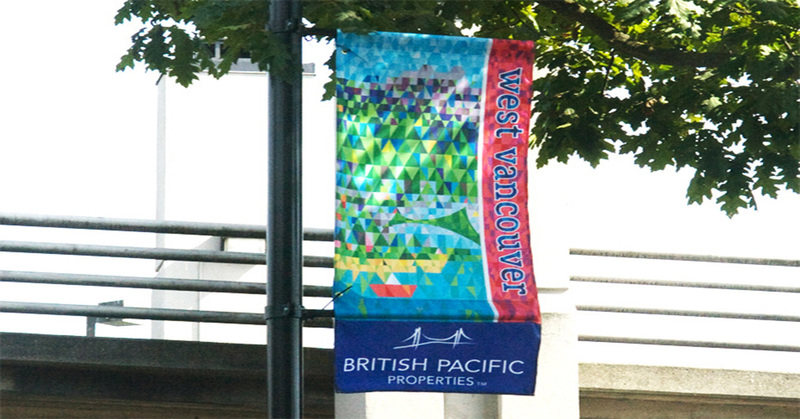 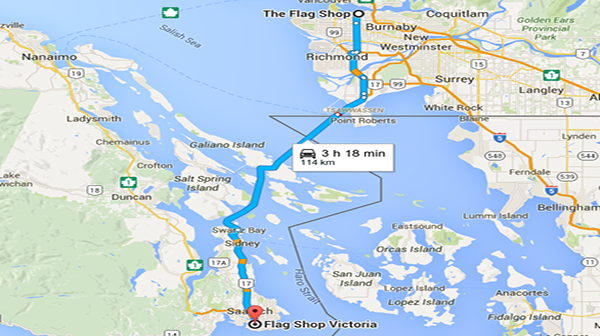 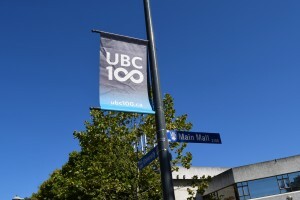 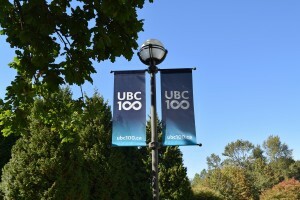 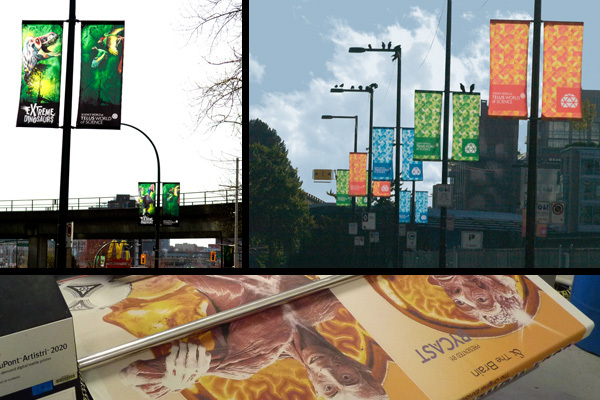 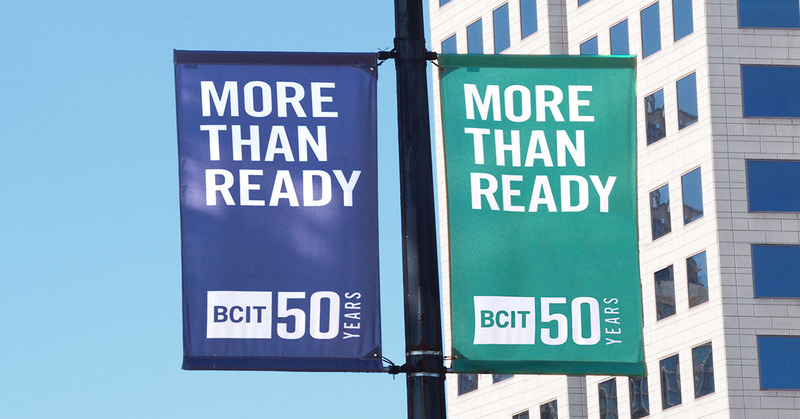 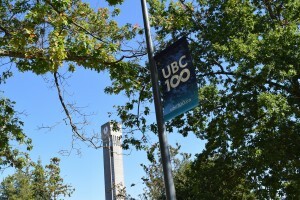 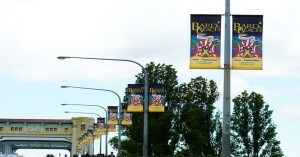 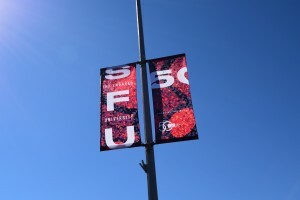 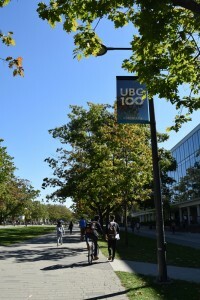 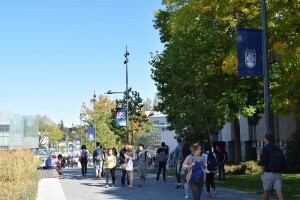 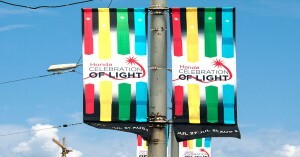 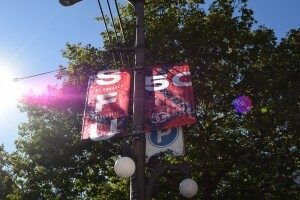 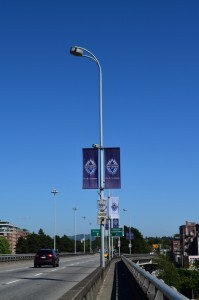 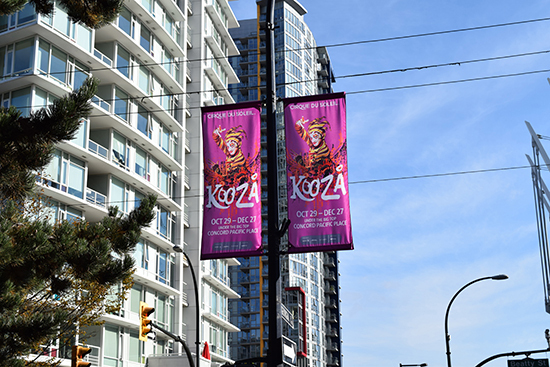 The street banners were printed right here in Vancouver and are made of Echotex, a 100% recycled banner fabric. 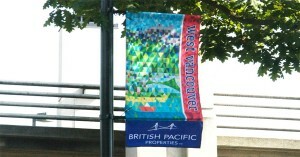 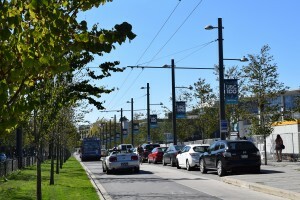 Echotex street banners are just a small part of helping Vancouver become the Greenest City by 2020. 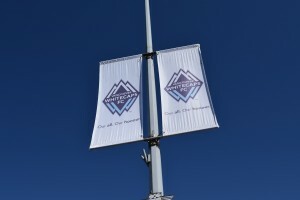 The 23rd Celebration of Light fireworks competition is coming up soon! 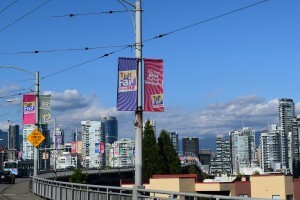 A staple of Vancouver summers, you can watch them from your favourite vantage point on July 27th, July 31st, and August 3rd. 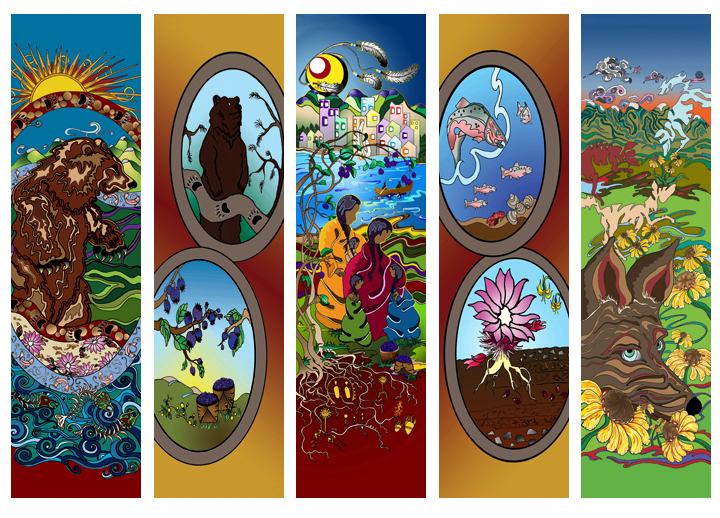 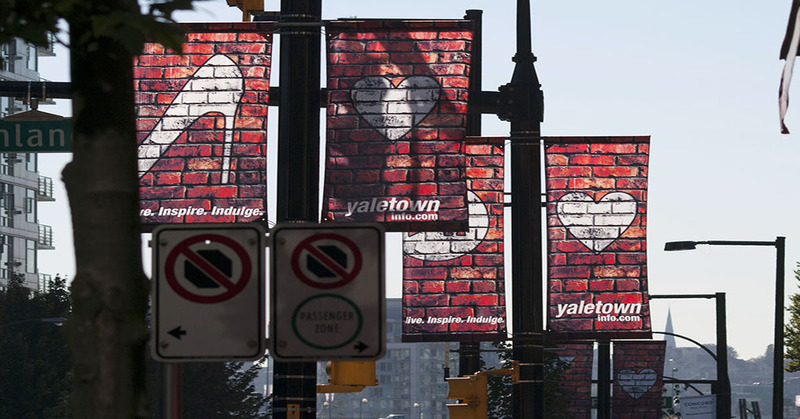 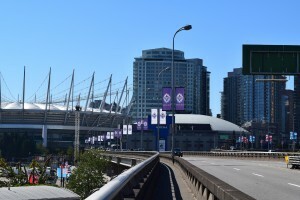 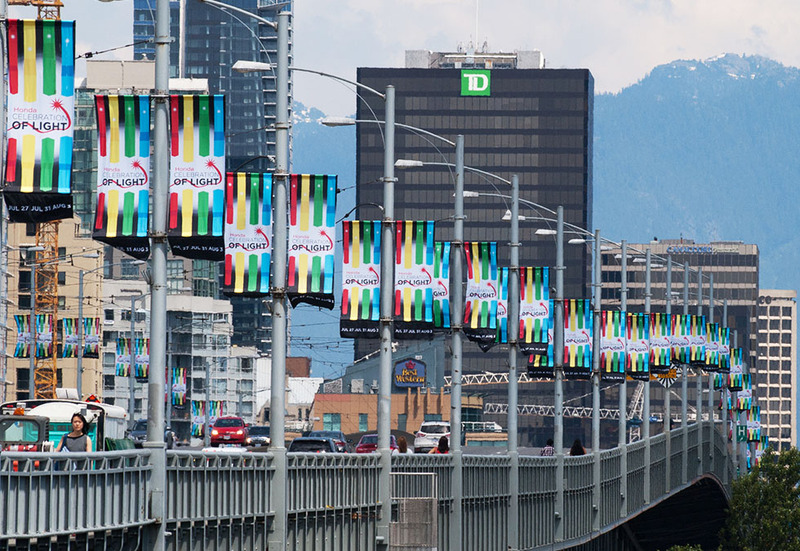 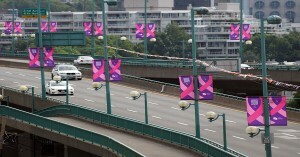 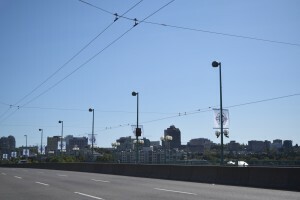 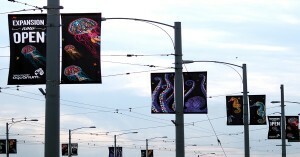 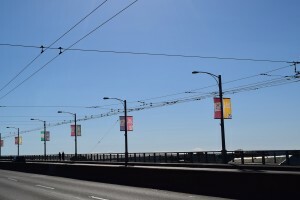 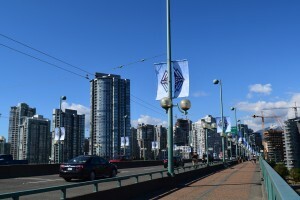 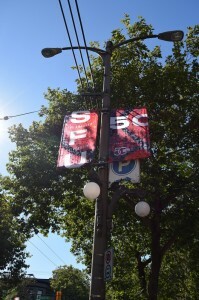 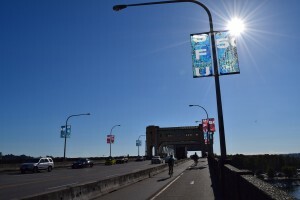 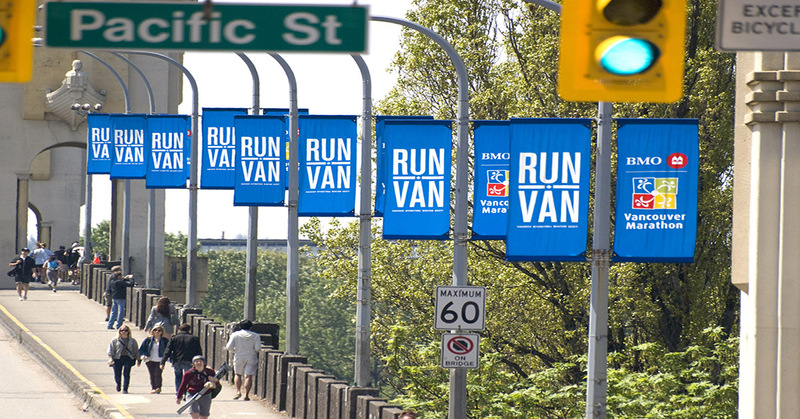 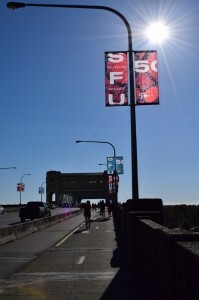 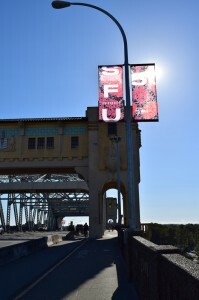 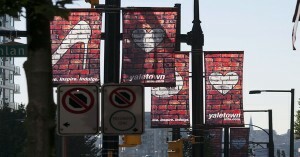 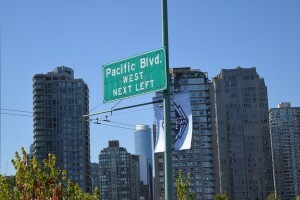 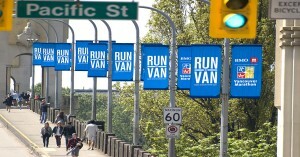 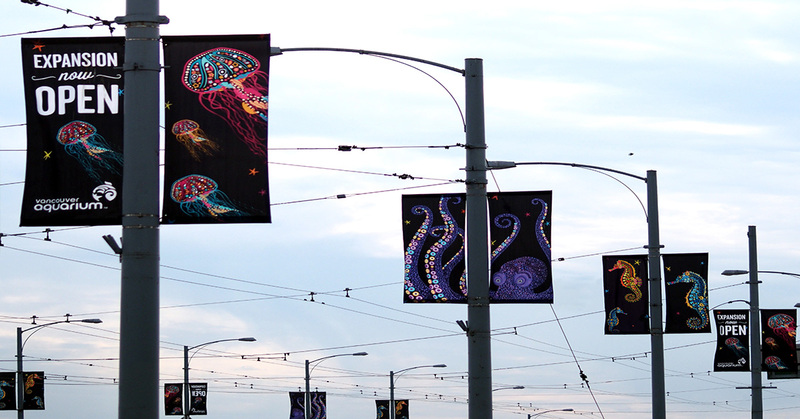 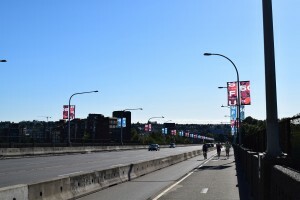 Right now, you can catch the street banners we made for them on the Granville Street Bridge. 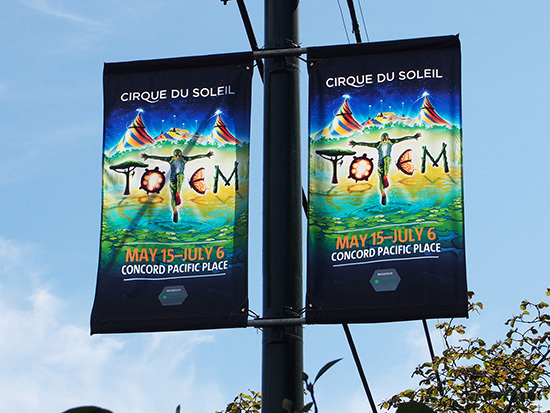 See more banners we’ve made for major events in our gallery. 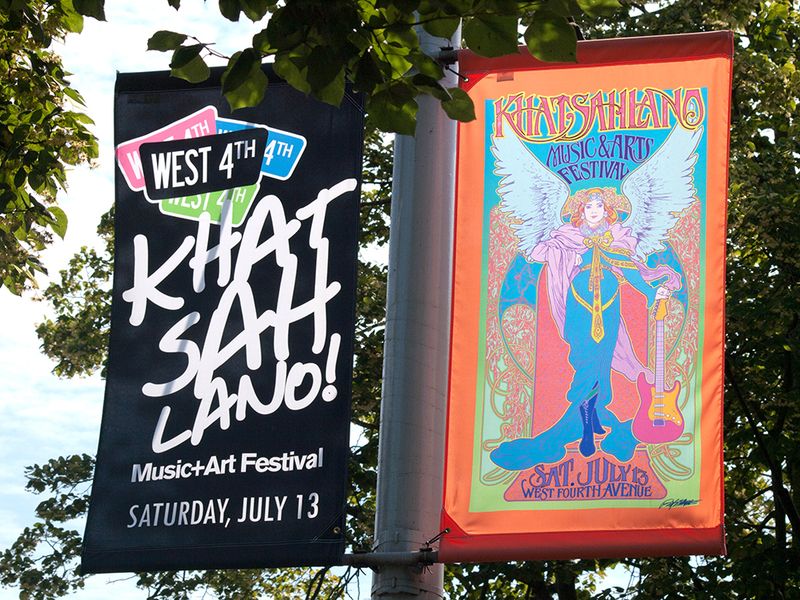 With Khatsahlano, Vancouver’s biggest free music and arts festival coming up on Saturday, July 13th, there’s been some last minute scrambling around the office to get all of their signage out the door. 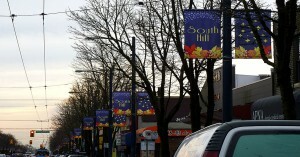 In addition, Susan has been going to press conferences in her role as president of the West 4th BIA. 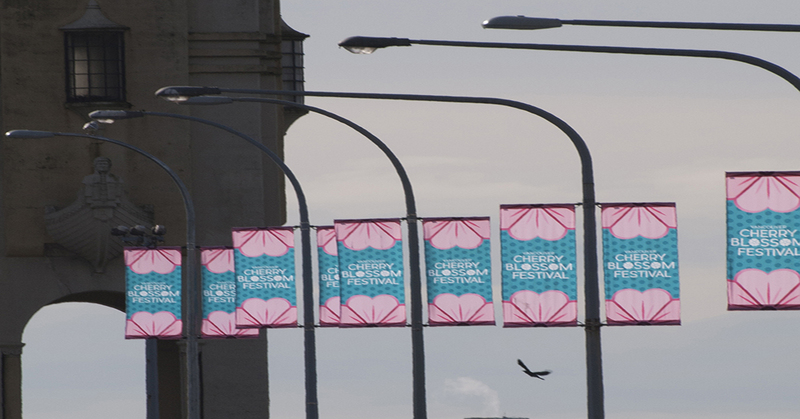 We’ll post photos of the festival next week!